Bringing you up to date information on what to do when you're dining out in Orange County, CA. 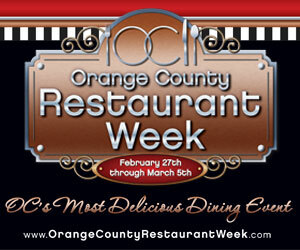 This website will also bring you info on OC restaurant openings and special culinary related events. Please click here to contact the blog owner. Please visit our partner sites GriffinEatsOC.com for Orange County restaurant reviews and Booze It Up OC for info on upcoming OC 21+ events. Chocolate lovers, spa-goers and foodies will all have something to indulge in this February at Island Hotel Newport Beach, the acclaimed AAA Five Diamond luxury hotel in Newport Beach. 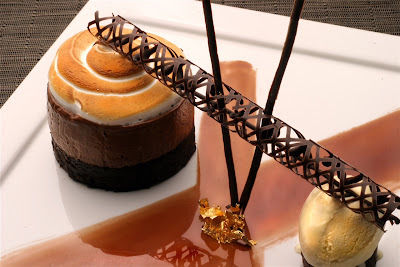 What: Back by popular demand, Palm Terrace’s Cocoa Lounge Dessert Buffet will be serving up chocolate decadence. Why: Executive Pastry Chef Michael Owens will offer scrumptious creations that include Banana Chocolate Mousse Cake, White Chocolate Strawberry Shortcake, Triple Chocolate Cupcakes, Double Chocolate Fudge S’mores, Manjari Obsession in Chocolate Cups, plus lollipops, peanut caramels, port chocolates and coconut almond bars, and much more – served among displays of chocolate statues and chocolate velour. Price: $18 per person, tax and gratuities not included. Insider Tip: Order a two- or more-course dinner at Palm Terrace Restaurant in February, Tuesday through Saturday, and receive complimentary entrance into the heavenly Cocoa Lounge. What: Experience a luxurious 60-minute spa treatment at the award-winning Spa at Island Hotel, followed by a decadent sweet finale at Palm Terrace Restaurant’s Cocoa Lounge. Choice of: Swedish Massage, Deep Tissue Massage, Aromatherapy Massage, Pregnancy Massage, Deep Cleansing Facial, Gentlemen’s Fact Therapy, Aromatherapy Facial, Honey Hibiscus Hydrating Facial, OC Facial Drench, or Organic Carrot Vitamin Facial. Price: $130.00, including the Cocoa Lounge Dessert Buffet (tax and gratuities not included). To book an appointment or arrange to give as a Valentine’s Day gift, please call (949-759-0808). Insider Tip: These 60-minute spa treatments are normally $140, so this is a sweet deal. What: Executive Chef Bill Bracken’s four-course Valentine’s Day menu is deliciously designed for Her & Him. Price: $95 per person (plus tax and gratuity), includes a complimentary glass of Champagne with the Cocoa Lounge dessert course. Live entertainment. To make a reservation, please call 866-554-4619.
Insider Tip: Start the romance early on Valentine’s Eve, Sunday, February 13, from 5:30 to 9:00 pm, with a three-course “Her & Him” dinner for $65.00 per person (including the Cocoa Lounge Dessert Buffet), plus tax and gratuity. 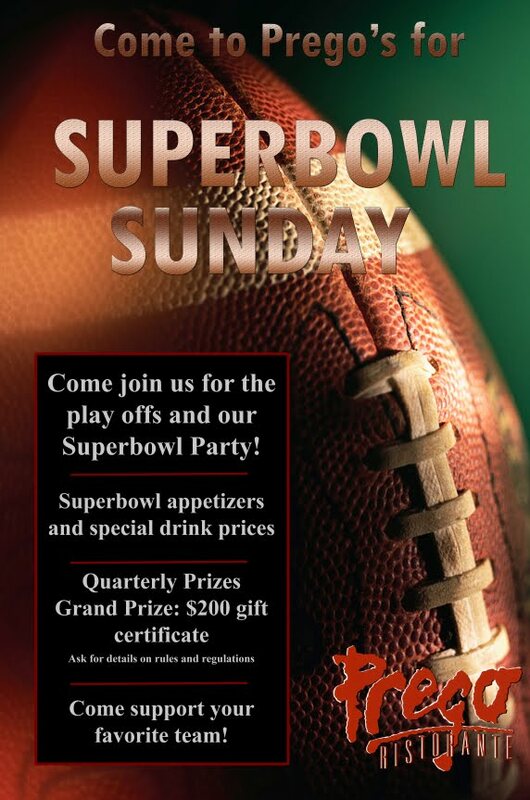 Prego Ristorante is offering those who crave quality dining and impeccable service to join them this year as they show the Super Bowl on Sunday, February 6 on six flatscreen televisions in the restaurant’s extensive bar/lounge. This year, Prego is offering prizes every quarter of the game, including a grand prize $200 gift certificate to the restaurant. Guests will be able to take advantage of drink specials, including $4 beers and $5 specialty cocktails, and food specials, including $6 meatball sandwiches, calamaretti e rucola, Prego pizzetta, and, of course, wings! Reservations can be made by calling 949.553.1333. To view all menus online, visit: http://www.pregoristoranti.com/menu.html. 18420 Von Karman Ave in Irvine. Specializing in non-traditional gourmet tacos, taco asylum pulls from a wide array of global cuisines, showcasing interesting ingredients ranging from Mediterranean-style grilled octopus to East Indian-style curried paneer. Le Cordon Bleu trained Executive Chef Greg Daniels has carefully thought out and uniquely constructed 10 taco offerings, each with a distinct flavor profile, ingredients, and accompaniments. Our own unique tortillas, marinades and sauces will be made in-house and from-scratch, using only the freshest ingredients, sustainable meats and seafood, and products from local farms and vendors wherever possible. To elevate and complement the overall dining experience, Beverage Director Wil Dee has put together a unique beer selection comprised of only craft beer, with six varieties on tap and 18 canned beers – all priced at $6. Guests may also enjoy a unique selection of all-natural bottled sodas, many of which are handcrafted in small batches – all priced at $4. The 50-seat restaurant has an industrial feel with unfinished concrete flooring, exposed ducting, hanging industrial wire-caged miner lights, reclaimed wood walls with rusted copper accents. Unfinished reclaimed wood tables feature metal shop stools. Soft banquet seating and barstools are offset with galvanized plumbing pipe supports. Open daily from 11 a.m. to 11 p.m., taco asylum is located at The CAMP (2937 S. Bristol St, B102, Costa Mesa, CA 92626), between Native Foods and SEED People’s Market. All food and non-alcoholic items will be available for secure online ordering through our website, and conveniently designed for carryout. taco asylum will offer its entire food menu for carryout.